oh no that isn't the one you made is it @edge?? Happily not, after I got the ton with that one it's not going anywhere near nets ha! It's a Laver that I actually haven't even used in a game yet  On the bright side, having struggled the toeguard off the cracks aren't deep into the toe at all, so she'll live on ok at least. Out of interest, how will you go about 'fixing' the dent and cracks? I have a similar issue I need to address but not near the toe. 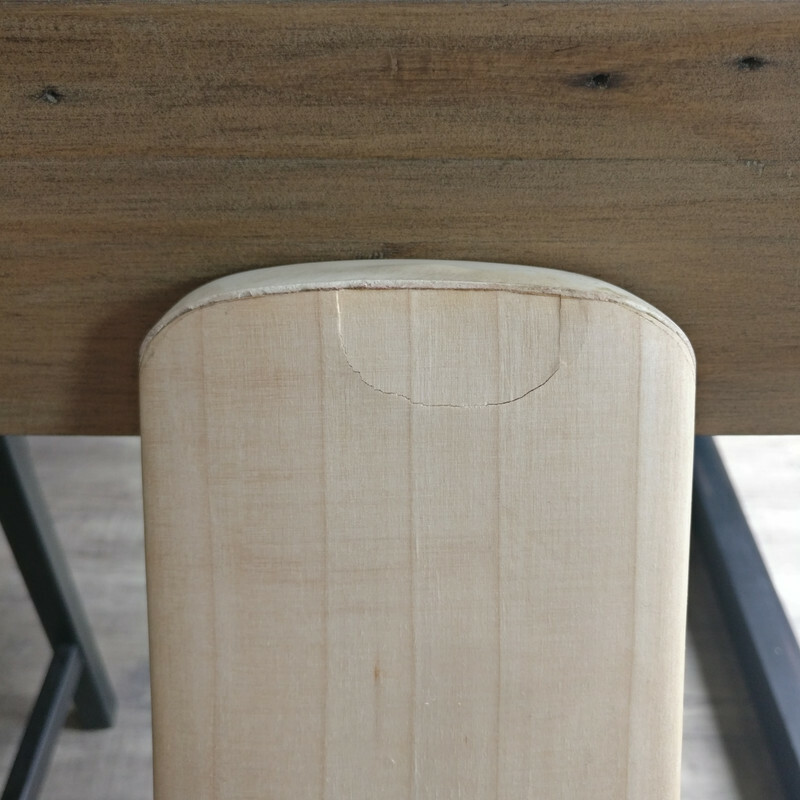 It's usually as much as I can do to get a toe guard to stay on for more than 10 balls, let alone struggle getting one off! Every toe guard i ever get on a bat i rip off by hand straight away as they will only fall off 5min into my first net anyway . If nothing else, this is testament to l&w toe guard application process being a step above the pack . Toe guards are pretty useless as I don't tap my bats but preparing the toe with a mallet is crucial. I don't really mallet the middle of the bat anymore but toe is a must! No fault of toeguard, Willow looks very dry to be honest, needs coats of oil. Yeah was thinking just this as I went at it with a pair of pliers and the better half's hairdryer! Toe guards are a total waste of time in my view. Re. fixing it, it's not deep at all so I'll sink as much thin glue into the cracks as I can and then sand it to smooth it off, should do the job. by thin glue I assume you mean the runniest 'superglue' you can get your hands on rather than wood glue? Probably superglue yep, although I've fixed similar with watered down wood glue before. Not my experience. A well fitted toe guard lasts as long as the bat. Though in my experience it is easier fitted when new. I’m a bit of a crease topper and it protects to toe from tapping damage. On the scales though. it actually adds quite a bit. I have always taken toe guards off, then just smeared wood glue or even airfix glue to act as a blocker to damp getting in. Page created in 0.491 seconds with 38 queries.